House on 3 floors with 4 bedrooms, (3 couple beds, 1 room with 2 beds) and sofa bed in the lounge. 8 people. 2 bathrooms, fully equipped kitchen, patio, terrace azotea the top floor with beautiful views of the sea. 2 rooms have views of the sea. The house is facing the sea and a small beach and next the pedestrian streets of the tourist office located in the castle, the main beaches, restaurants and shops and supermarket. Responsible Manuela speaks French, English and Spanish. She is a specialist in natural and alternative medicine .... She can organize courses (languages, Sevillian or flamenco dances, sailing, golf), rentals (bicycle, boat ..), guided tours and she proposes herself therapeutic massages, health courses or natural medicine workshops such as using crystals and minerals for our health. special prices for 2 or 3 weeks rental. Consult us! La propietaria es un encanto. La casa es increíble, con 4 habitaciones dobles, dos de ellas co vistas al mar, además de azotea con vistas donde se ven unos atardeceres únicos. La playa, a 20 metros. ¡Volveremos! - Practice of thalassotherapy and heliotherapy (with sunlight) in the open air. chipiona is a seaside resort known throughout Spain (especially physicians) for its curative powers. (Sea water and air very iodine). This is chipiona that have built the first marine sanatorium in Spain. - Possibility to rent bikes for the week or do a tour with me aspects of health, energetic and esoteric or with a local partner to the monuments and the history of chipiona. 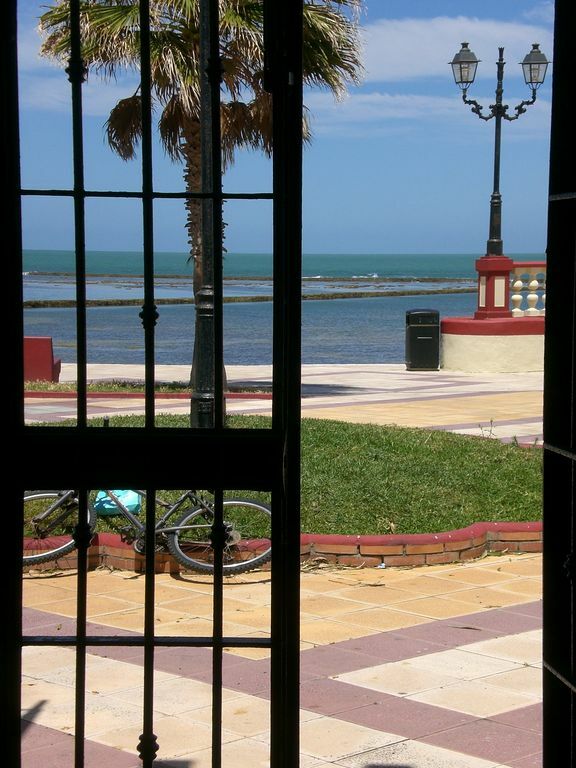 - The Chipiona tourism ofrfice is 20 meters from the house (casa lua) ie in the castle. take appointment in advance to climb up the lighthouse (the highest in Spain) or to visit the "corrals" stone buildings, parks that are pregnant to fish and which date from Roman times to see before. in France, there is the same at Oléron.